South Park is known for pushing buttons and offending people as much as it is known for its hilarious social commentary. Often the show makes astute observations about social behavior or turns political or economics issues into comedic gold. Here are ten episodes that provide funny and insightful economic insight with links to where you can watch them on South Park’s official site. WARNING: SOUTH PARK IS OFTEN PURPOSELY CRUDE AND OFFENSIVE. DO NOT WATCH IF YOU ARE EASILY OFFENDED. 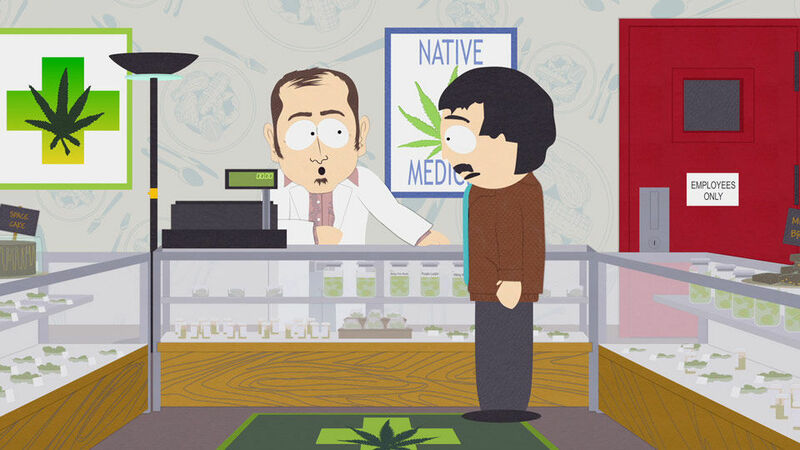 In this episode South Park demonstrates that when something is banned or regulated it often causes more harm than good. The externalities stemming from black market activity alone often far outweigh any positive outcomes. When a new law shuts down KFCs, the stores are converted into medicinal marijuana shops. As Cartman delves into a world of black market fried chicken and organized crime, Randy inspires the men of the town to purposely give themselves testicle cancer in order to get legal weed. In the end it’s obvious that regulating chicken and weed create more problems than they solve.